Biste and MacLean Adventures have partnered to create the Greatest Ski Vacations of your life! These trips are all inclusive utilizing services and service providers that Hawley MacLean himself has vetted and knows personally. These are not your run of the mill ski club trips where you arrive for a week and never meet the rest of your group. The days are meticulously outlined yet flexible to accommodate anything you want to do. We personally know the people we work with and the places we go. The College of Business has a Small Business Development Center at UNR, which has been instrumental in guiding the startup of Biste Technologies. The purpose of the NV SBDC is to guide and assist entrepreneurs in starting and growing their businesses in today's dynamic market. If you need help bringing your dream to life click here. Adventurous Sports is a fun and unique business in San Francisco. It is also where the first Snow Biste ski machine calls home. Sarah Cooper has an amazing staff and fun environment to hone your skills faster. Check out their Spy Camps and Poker Education events at http://adventurous.com and while you’re at it set yourself up with ski session. Reno Orthopaedic Clinic is a physical rehabilitation and sports performance complex that includes an urgent care facility equipped to handle all fractures, tears, and joint damage. Their program to combat winter sports injuries is incorporated in to the Full Biste Training method. If you are rehabbing from injury you now have the opportunity to transition from orthopedic clinic to a fitness learning center that understands your transitional needs in order to get you back on the mountain faster with better strength and higher endurance than pre- injury. Our program is supported by Naomi L. Albertson, MD of The Reno Orthopaedic Clinic as the next step after you get repaired. We’re here to help you get back on the slopes and win the race or just catch up on enjoying your mountain adventures. As part of Biste Technologies' group services Reno Orthopaedic Clinic will come in an offer a baseline assessment of your physical fitness. With that baseline assessment you will also be able to see one of their specialists within 24 hours of any mountain injury. As any athlete who has injured themselves knows this is a valuable insurance plan. To schedule involvement in our group classes and optimize your ski performance click here. 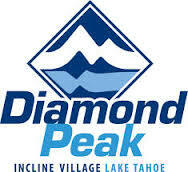 Discover an experience like no other at Diamond Peak Ski Resort. Located in picturesque Incline Village. This place has miles of welcoming, uncrowded runs. Easy access from lot to lift. The most breathtaking views in Tahoe. Kris continues to sharpen his own skills here with an award-winning ski school for all experience levels, while training with the Diamond Peak Ski Team. For more information about DP Ski Team click here. More about Diamond Peak click here. Biste Technologies employees receive their coaching certifications through the United States Ski Association (USSA). If you are looking to become a certified USSA coach or just want to learn more about the United States Ski and Snowboard teams click here. Your Ski Advisor is a Tahoe business based at Northstar Ski Resort that helps you with all of your equipment acquisition needs. They offer custom boot and ski assessment and fitting based on your personal mountain goals. Whether you’re looking for new skis, racing equipment, clothing or boot fitting Your Ski Advisor will be there with concierge service to customize your skiing needs. To learn more about their program and get involved in their forum click here. MarkUBiz, now known as No Joke Marketing, was the partner that brought Biste Technologies to the internet. No Joke Marketing is a complete internet marketing solution for any company wishing to boost their web rating. For a free web presence review click here.